According to Washington Post writer Michael S. Rosenwald paper is in peril. Hardcover book sales, down; e-book sales, soaring. Magazine and newspaper circulation are in decline. When was the last time you let your fingers do the walking in the Yellow Pages? But one paper tool is thriving. It is 3.5 inches long and 2 inches tall. Its use dates to Victorian times, when respectable people presented themselves with a formal flourish and a simple calling card. The digital revolution has swept away many tree-based products, but the lowly business card, against all odds, is thriving. Staples, the office supply chain, reports with some surprise that demand for business cards has surged, with double-digit growth over the past three years. 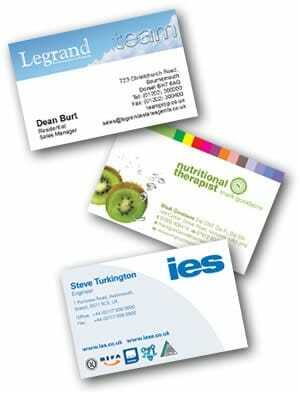 Vistaprint, a large online printing company, sells more business cards than almost any other product. Office Depot also reports growing sales. Smartphone-toting moms use business cards to arrange play dates. Singles hand them out at bars. In these hard times, the jobless often have cards even if they don’t have a business address. There’s something more nuanced to the appeal of the card, though. When people exchange business cards, they transfer more than just contact data. They transfer impressions and stories that leave mental imprints.